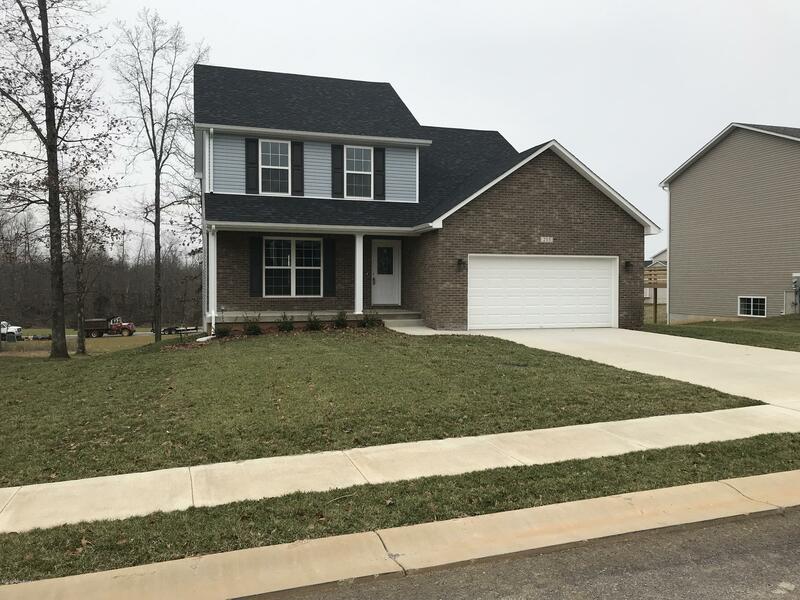 2 story brick and vinyl home with a covered front porch. 2-car garage and unfinished walk out basement. Basement has a concrete patio at rear door and isroughed in for a full bathroom. Main level features an eat in kitchen with white cabinets and granite tops. A large family room potential dining room or formal living roomtoo. Large half bath with laundry room on main level. Large master bedroom upstairs with 2 closets and ample closet space in spare bedrooms. Hand scraped hardwoodin living room, kitchen and family room. Ceramic tile in baths and laundry.